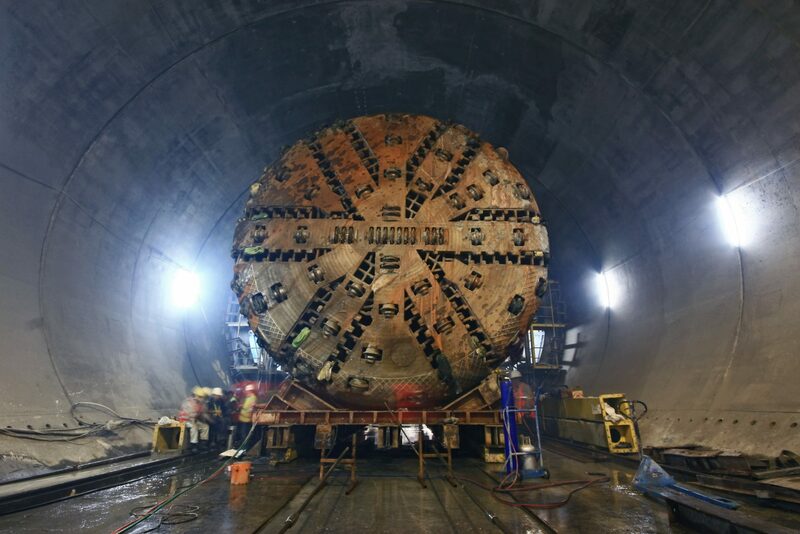 A stock photo of a TBM. Photo: Pix House. An updated study into a fixed link between the island of Newfoundland and Labrador, Canada, has found an underwater rail tunnel to be the most technically and economically attractive option. Currently, Newfoundland and Labrador are connected by ferry between Blanc-Sablon, Québec, and St. Barbe, Newfoundland. Although the ferry operates throughout the year, it is subject to weather and ice conditions and there are often interruptions in the winter. Reviewing three options: a single rail, single road and double road – as well as briefly looking at the option of a hyperloop – the study concluded that a tunnel bored to an approximate depth of 130m below sea level using tunnel boring machines, with an electric train shuttle to transport vehicles, is the most technically and economically feasible option. Travelling at up to 100km/h, the train would take 20 minutes to cross the strait. It would operate 12 hours a day, seven days a week, carrying a maximum of around 130 vehicles. The study said that, considering a relatively low traffic volume, a single-track shuttle train with alternating operation in both directions would provide sufficient capacity to address the predicted traffic volume over the next 42 years. The rail link’s estimated design, plan and build time would be 15.5 years, costing around C$1.675 billion to construct and C$8.7 million to operate each year. This estimated cost is cheaper than the $2 billion construction cost of a single-lane road tunnel. The rail link also has a better benefit cost ratio, according to the report, which also recommends financing the project through a public-private partnership. 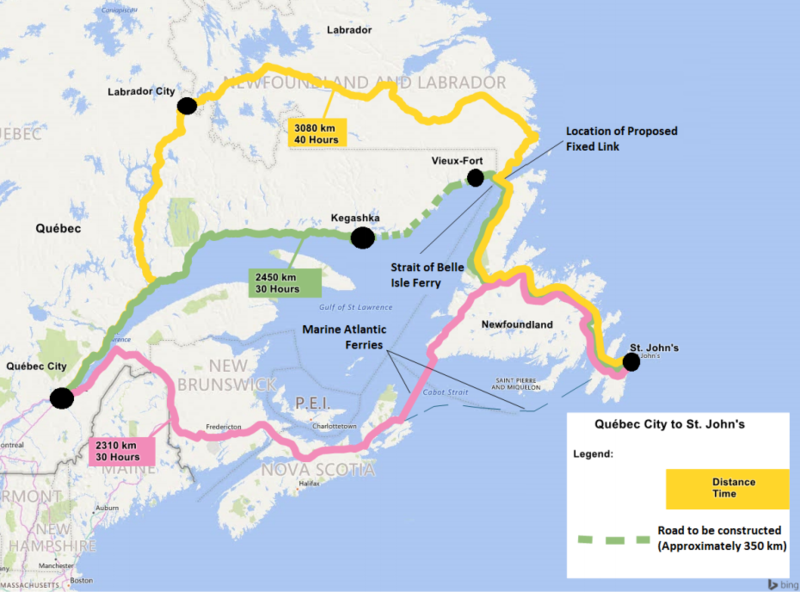 Newfoundland and Labrador premier Dwight Ball said: “The concept of a fixed link is a nation-building prospect that could potentially have social and economic benefits for Newfoundlanders and Labradorians and all Canadians. The Government of Newfoundland and Labrador released the new report – which was jointly funded by the Canadian government – in March. The 454-page study can be read in full here.